Google the term ‘garden rooms Scotland’ and you’ll be faced with various choices. But, which one is best suited to your needs? How about choosing a garden room from a multi-award winning, home improvements company with an established pedigree that also supplies and install top-quality German kitchens, bathrooms, windows and bi-fold doors? 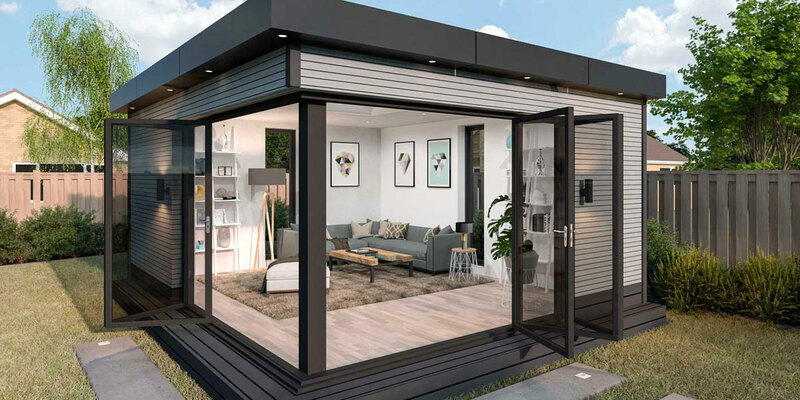 Spacekube from EKCO is the ultimate custom-built garden-room made from sustainable and hard-wearing materials and designed around your lifestyle. Here is why Spacekube from EKCO should be your first choice when considering your new garden-room. EKCO has been supplying kitchens, bathrooms and bi-fold doors in homes and businesses across Scotland since 1999. The company has won numerous design awards over the years from the KBSA and has gained an enviable reputation in the home-improvements industry for quality of workmanship, reliability and value for money. So, you can rest assured that EKCO’s Spacekube garden rooms have the same high-quality workmanship people have come to expect. The beauty of the EKCO Spacekube lies in its adaptability. What would you use yours for? A home office so you can say goodbye to the daily commute and enjoy a better work-life balance? An artist’s studio perhaps? You could even have a self-contained guest room complete with en-suite shower that’s separate from your home to give your visitors more privacy. Here are some scenarios to illustrate how Spacekube could be used. Imagine the scenario. Your teenage daughter has been accepted into university or college and wants her independence but renting flats is expensive. Spacekube is the perfect solution. Your Spacekube is the perfect garden studio flat, ultra-modern and minimal in design, but made from sustainable and hard-wearing materials. Not only can it provide enough space for a double bed and closet for her clothes, but you can have an additional small food-prep and cooking area and an en-suite toilet that can double up as a wet-room complete with power shower. And, when she graduates, you will still have your Spacekube which can be readapted to suit your needs. Your son is getting married. He and his fiancé don’t have the deposit to buy and will have to rent instead. They could move into your home and save their rent money, but they would prefer their own space. A Spacekube garden studio-room is the perfect solution. 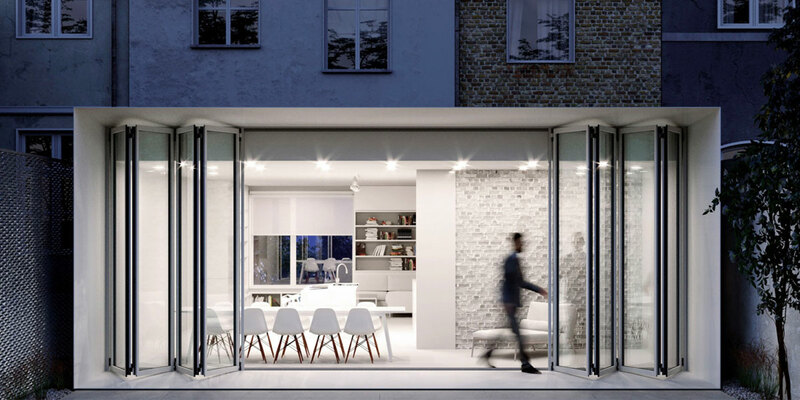 As EKCO have supplying and installing kitchens and bathrooms since 1999, their award-winning designers will design your Spacekube complete with en-suite shower room and compact, open-plan living area and kitchen – the perfect way to help them get on the elusive property ladder. We often dream of ditching the daily commute and working from home, but when space is limited it be difficult to achieve the right work / life balance. A Spacekube garden office is the ideal way to work from home and keep your home life separate whether you live in Glasgow, Edinburgh or in a more rural part of Scotland. As your Spacekube garden office is separate from your home it will give you the space to hold client meetings and have enough room for all your office equipment. Your Spacekube garden office will be ergonomically designed around your business which means having the right space set aside for your desks and chairs, your windows placed for the best outlook, enough power sockets with USB outlets for all your office equipment, the right ambient and task lighting and of course a colour scheme to help you concentrate or tap into your creative side. The other benefit of having a Spacekube garden office is that it is tax-efficient. If it is used solely work your business, you can offset the cost against your tax bill which means it is an investment rather than a cost. Contact EKCO for our garden office prices and get your work / life balance back on track. A garden room can also be known as a garden pod, which is basically somewhere to switch off from everything and get a little me-time. A Spacekube garden pod can be designed to help you relax so what would that be for you? Would it be designed as a bright and airy reading room, with your own library? Or perhaps a media room with your own collection of classic movies to hand where you can open a bottle of wine and simply unwind? Or would you take a more zen approach and create your own yoga room to get a little balance in your life? Whatever you’re looking for from your garden pod, Spacekube from EKCO can deliver. EKCO garden room sizes can vary depending on your needs. It can be a modest Spacekube designed for a private space to unwind after a hard day; or you may need a bigger garden office for yourself and a few employees. Whatever size you need, EKCO Spacekube can deliver. Contact us now to speak to one of our Spacekube designers. Our Spacekube garden rooms are built with the environment in mind which means choosing the finest natural materials to create the structure which is then clad in sustainable timber such as larch and cedar. This allows it to breath while keeping out the worst of the Scottish weather. Spacekube is built to last and provide an investment for years to come. It goes without saying that as one of Scotland’s premier door and window specialists, EKCO will ensure that only the best and most energy efficient doors and windows are included with your Spacekube garden room. We offer a choice of aluminium, or PVC frames and glass with low UV values which surpass UK building regulations. You can also choose from bi-fold doors which open fully to remove the barrier from your garden room and your outside space – or sliding patio doors with slim profiles and larger glass panes to make the most of your outlook. Contact us now for advice on the best window and door options for your garden room. Your Spacekube garden room can also come in a range of flooring options from tiles to natural wood with the optional added luxury of underfloor heating to help you brave the worst of the Scottish weather. 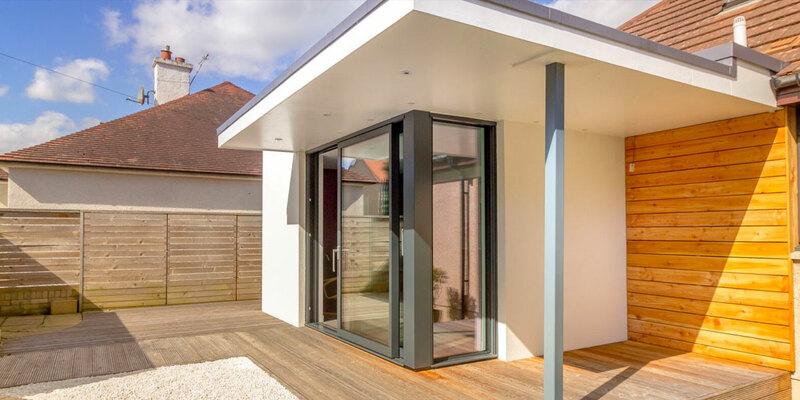 For further details and advice on the perfect Spacekube garden room for your home whether you live in Edinburgh, Glasgow, Livingston or elsewhere in Scotland, contact EKCO on 01506 857 007 NOW and speak to one of our designers.